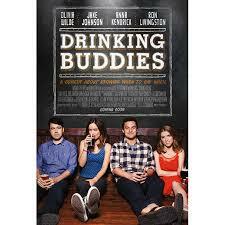 Director Joe Swanberg’s Drinking Buddies is perhaps his most palatable and commercial film to be released in a while. You may never have heard of Swanberg, unless of course you’re an avid indie movie viewer, but he has directed and produced such titles as Kissing on the Mouth, LOL, and Hannah Takes the Stairs. His films are marked by improvisation, a lower-budget, lesser-known actors, and hails (if such a genre term still exists) from the “mumblecore” scene with the likes of Jay and Mark Duplass. Drinking Buddies has all the same elements of previous films but transcends the bounds of low-fi-indie-world-cinema to a greater commercial success largely in part to its casting of more prominent actors. Drinking Buddies features co-workers Luke (Jake Johnson from New Girl, Safety Not Guranteed) and Kate (Olivia Wilde from House, Rush) who work together at a brewery. They both have significant others but have an undeniable chemistry at work. The two often hang out outside of work and have a friendship that borders on the inappropriate for two people who are also dating other people. On a double date to a cabin however, we begin to see that their significant others Chris (a much missed Ron Livingston, Office Space) and Jill (the adorable Anna Kendrick) may have just as much chemistry between the two of them as Luke and Kate. I know. From this point I thought I could see the entire trajectory of the story. Luke would break up with Jill and get together with Kate and Kate would break up with Chris to date Luke. Things looked so predictable I was about to yawn. Not so, however. While these tensions do exist and a reality beyond this time frame may prove these events to be occur, we never see the end result. Mostly we see small interactions. Glances and hand touching and conversations with underlying subtexts. It’s funny, but slow and winding. Real enough to hold our interest but not so real that it becomes boring. Luke really does love Jill and they’ve even talked about getting married. It’s hard to know if he’s merely being naïve in his relationship with Kate or if he doesn’t want to explore what he knows is there to break the status quo. Kate’s not exactly sure what she wants. Chris is the only one who seems confident, he’s older, more experienced with relationships and life. All actors turn out funny and terrific, albeit subtle performances. Drinking Buddies defies rom-com or even it’s own name. If a movie called Drinking Buddies was to come out of mainstream Hollywood you know it would include lots of binge drinking and frat parties with a heavy emphasis on the drinking. Do people in here drink? Sure. Do they drink a lot? Yeah. But that’s not the point. I thought I knew for sure where this movie was going at first but it never went there. It offers a look in time at the overlapping of relationships between two couples. What happens beyond this point of time, it’s hard to say.